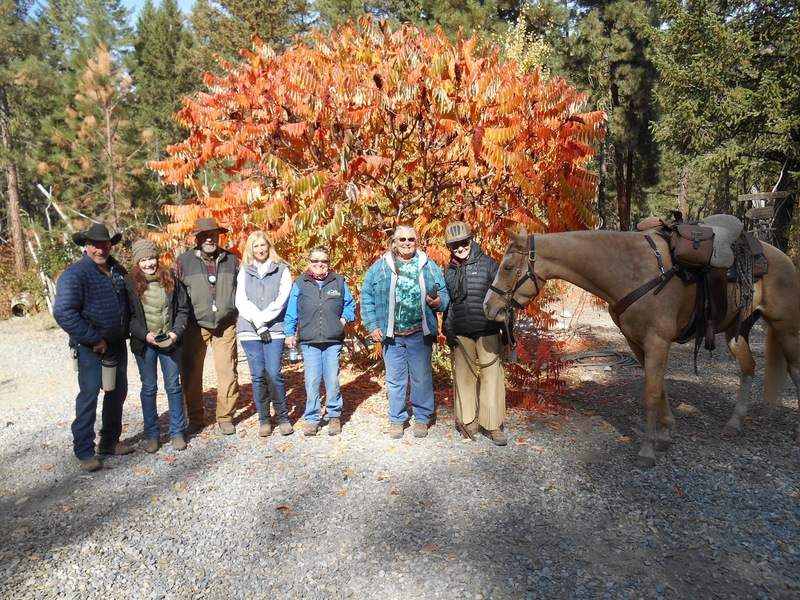 September 20th Jan and Bill Ford hosted their annual Hamburger Ride for 12 riders and served 21 guests for a great hamburger BBQ with pot luck salads, baked beans, and some amazing dessert treats! 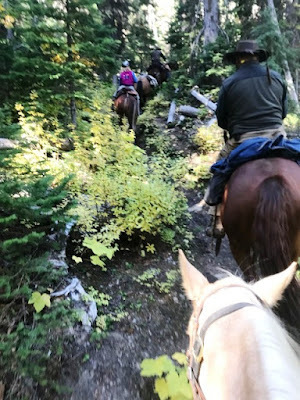 After a summer of heat and smoke, the weather was uniquely accommodating and everyone was comfortably cool and the air was clear and sunny. What a great day! 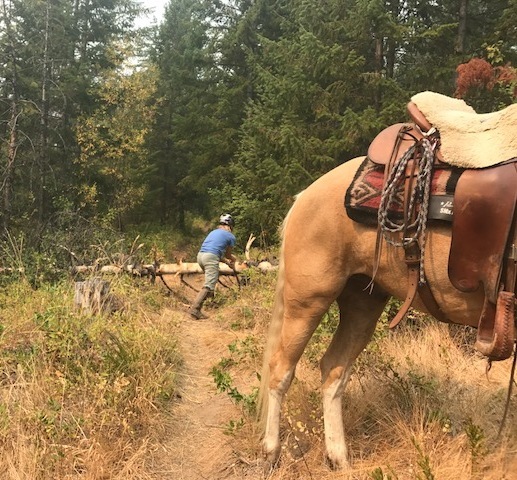 It was one of those days when you ride a bit and work a bit, then ride a bit and work a bit, over and over. 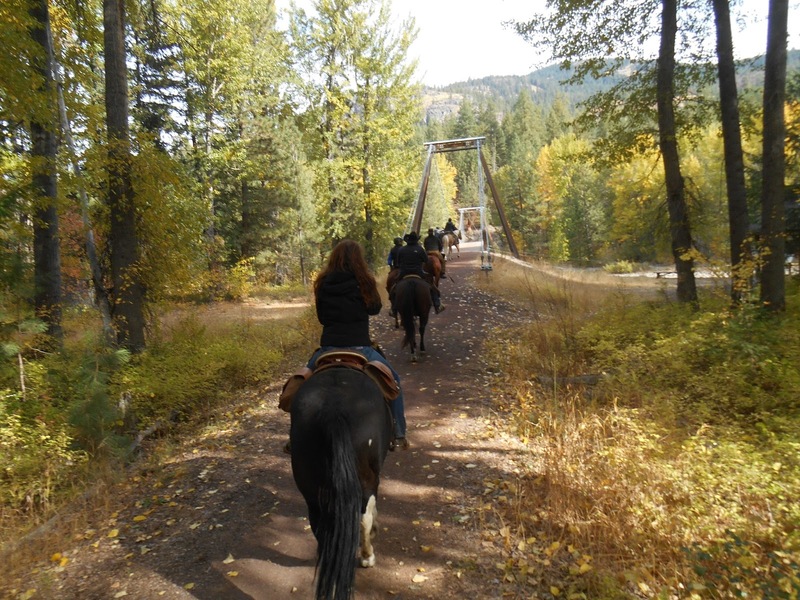 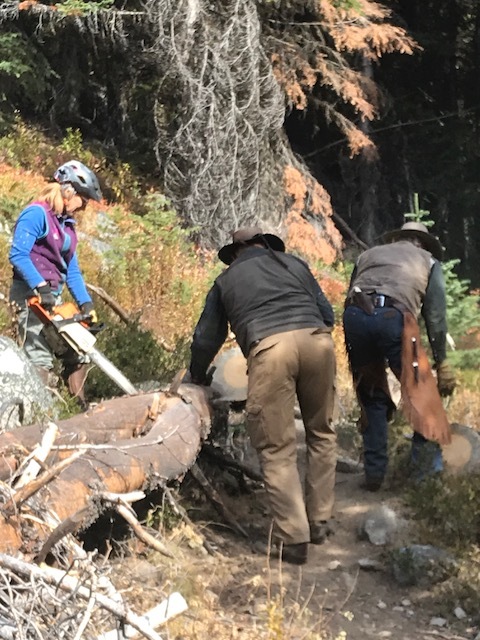 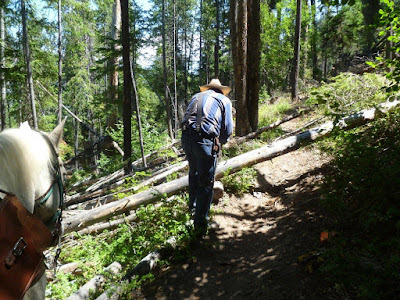 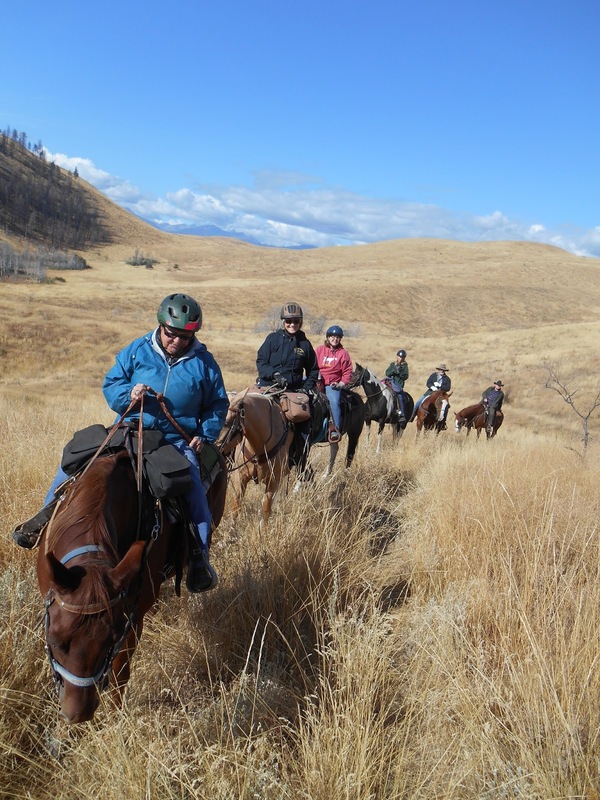 Thursday September 7th was just like that when Mary Pat Bauman on JJ and Cathy Upper on FeeBee, starting at War Creek, decided to take along a few tools on their ride up Twisp River Trail—just in case. 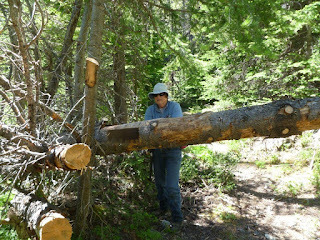 Cathy dispatched this downed tree quickly (see photo at right), but eventually they came upon another downed tree that even fearless Cathy couldn’t take on. 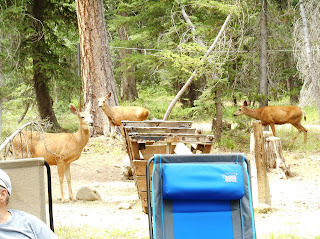 It was decided that one should be left for Bill Ford! 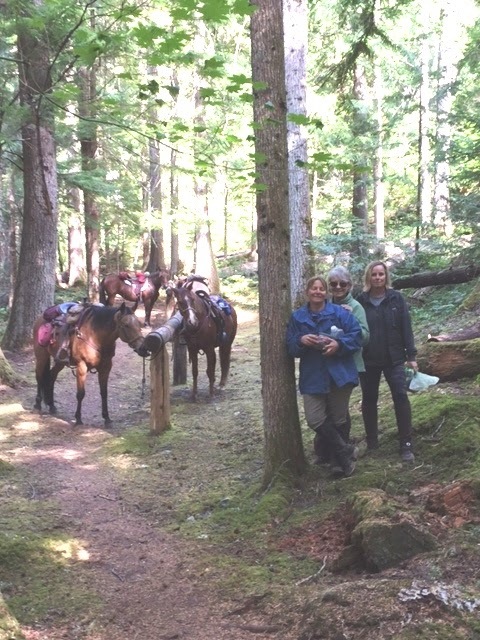 On September 13th Tamara Abate, Cathy Upper, Mary Pat Bauman, and Jill Calvert rode out 7 miles on East Bank Trail (just west of Rainy Pass). 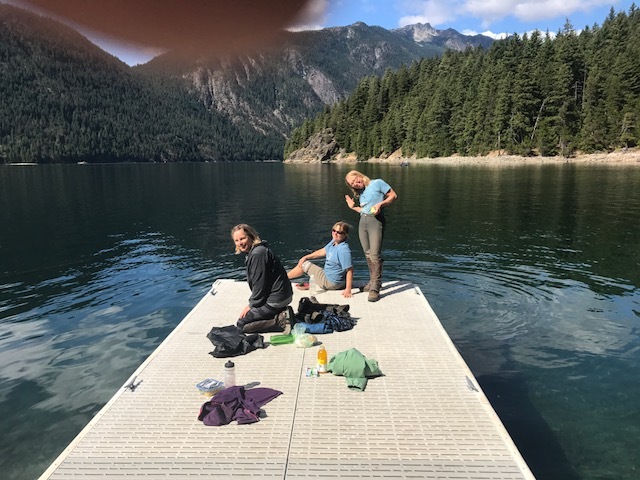 It was a beautiful and smokeless day so they enjoyed a rest and snack/lunch on the dock at Ross Lake. No trail work this time! 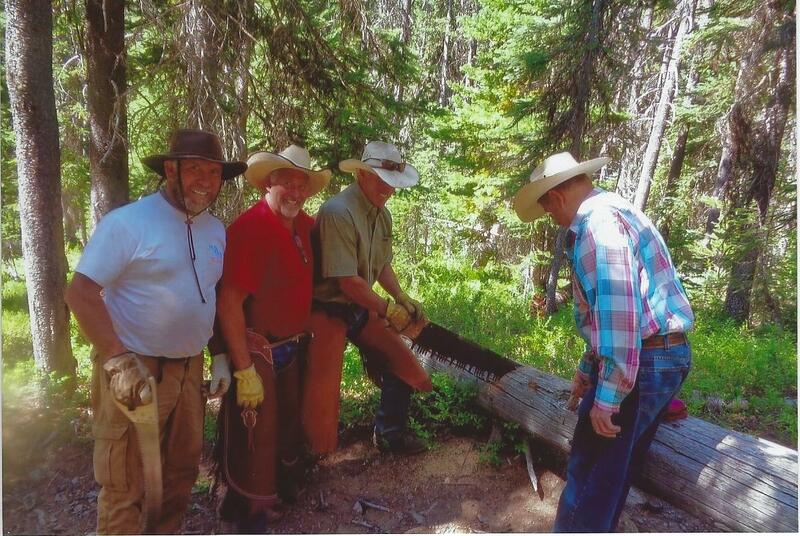 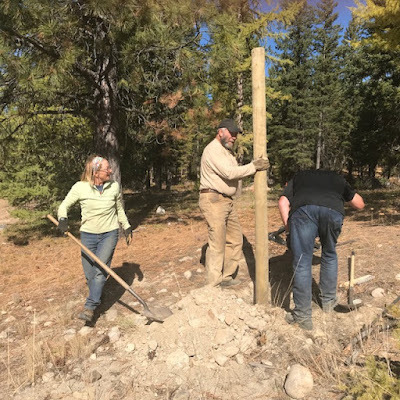 On Wednesday July 19th Bennet and Cathy Upper, DK Williams, Mark Brantner, Dave Johnston, Joe Hebert, and Betty Wagoner finished cutting out the North Lake Trail from the creek crossing. 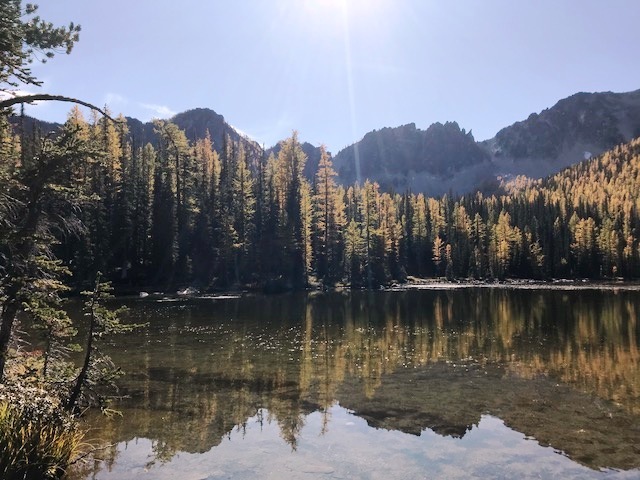 (We discovered the meadow at the “tarn” lake before North Lake is just beautiful!) Washington Trails workers had cleared to the creek earlier, but snow prevented them from going further, and MVBCH members had cut out to the wilderness boundary with chain saws. 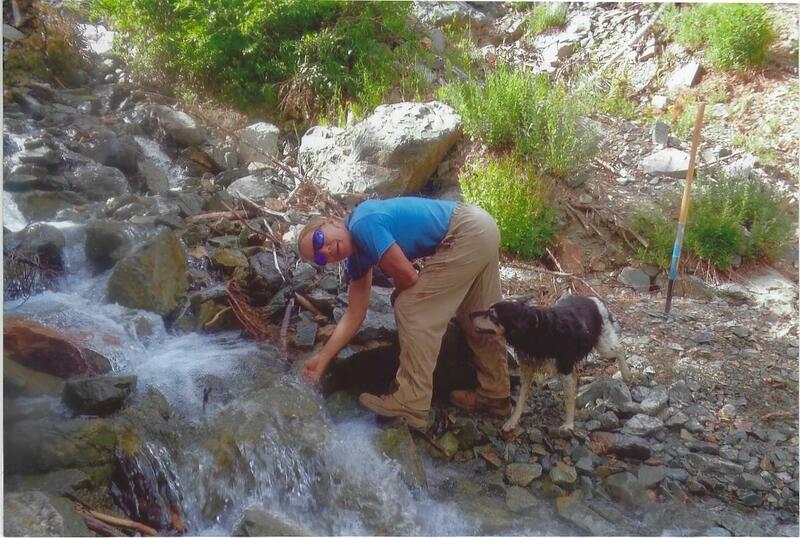 After a lunch break, we worked on widening the sloughed off area and remaining part of the rocks in the trail below. 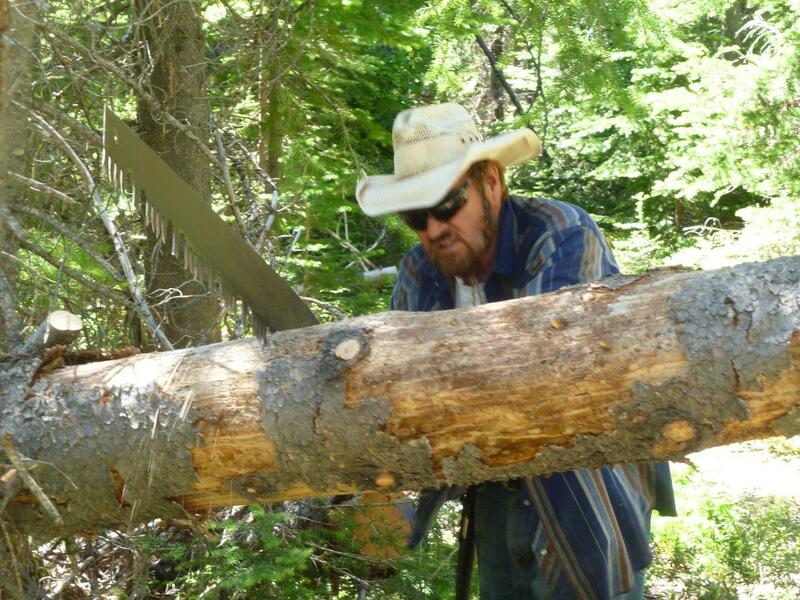 On July 16th Bill and Jan Ford went about 1 1/2 miles on Williams Creek Trail and cut out 20 or so trees by hand. They could have used a chainsaw, but reckoned there would not be many trees outside the wilderness so opted to ride and carry the cross cut and smaller hand saws - wrong guess! 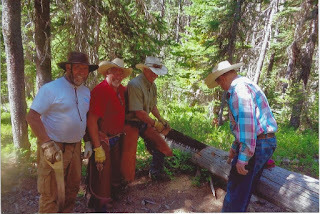 Bill had a cross cut saw that is half of a long one, and Ted Lindsey made a scabbard for it so it could be carried under the saddle fender. 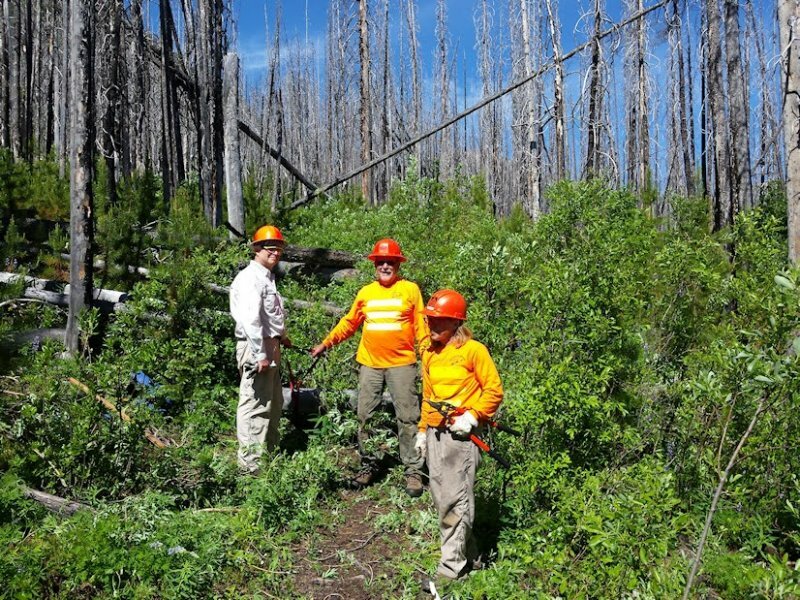 BCHW’s Jason Ridlon organized a very ambitious work party ("Hot Shot" crew) of over 30 workers to work on Pasayten wilderness trails. 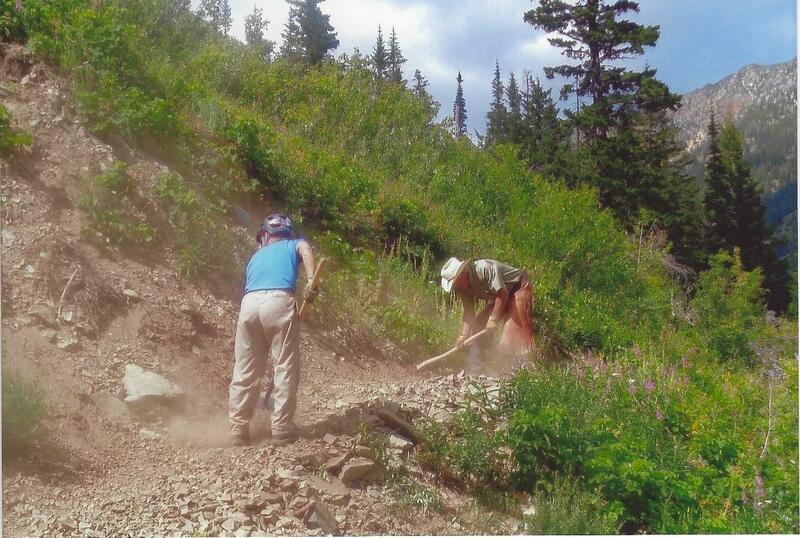 Meanwhile, Betsy Devin-Smith and Cathy Upper joined 4 others to work on Betsy’s project of the Crystal Lake trail. 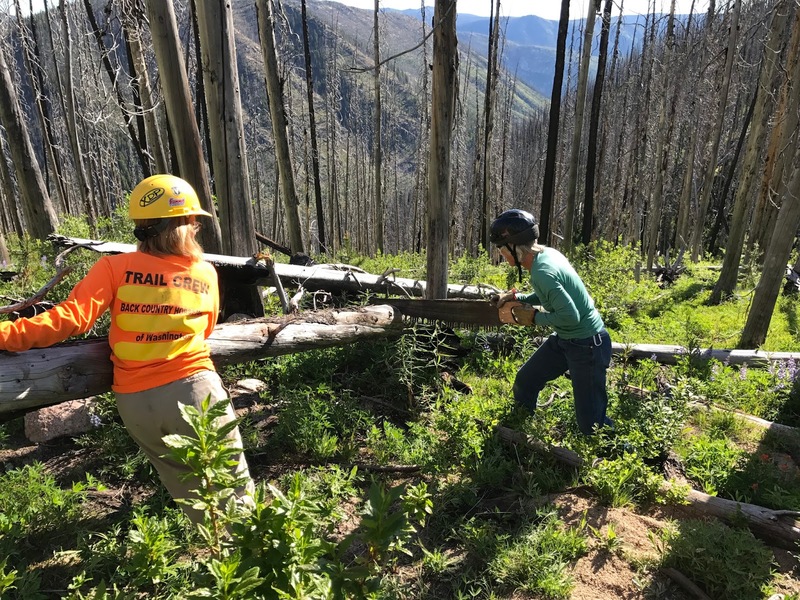 Two years ago she and her son Casey started with the 4+ miles of trail outside the wilderness. 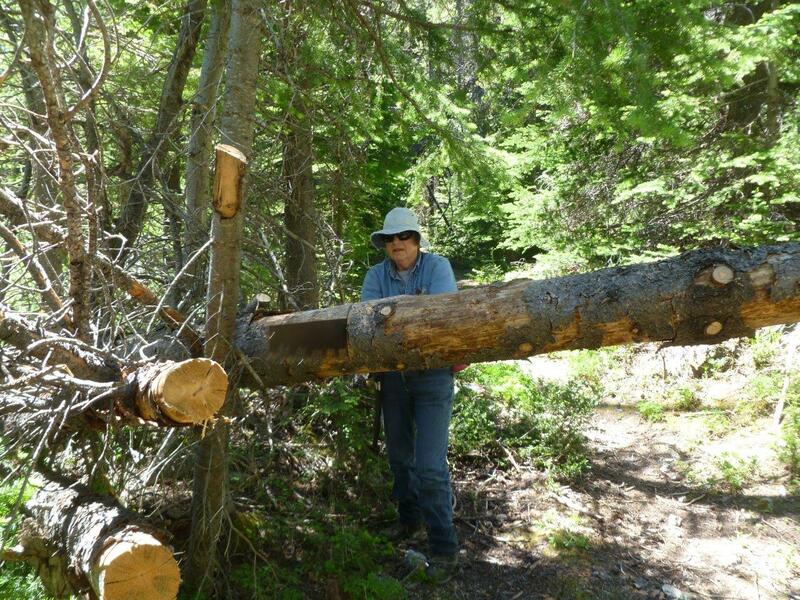 She figures she and Casey had cut out around 500 trees. 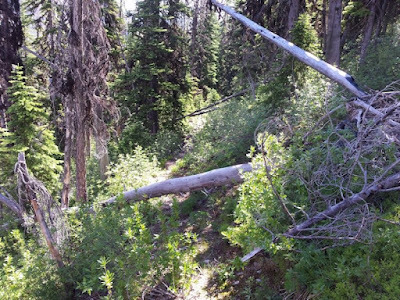 We had around 70 left to go outside the wilderness. 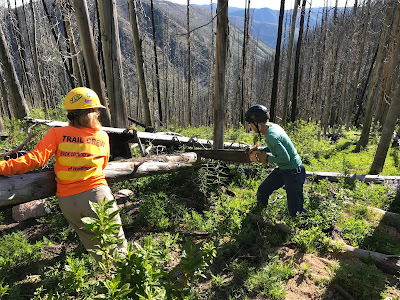 The packers brought in our tools and gear and most of us hiked in to this area where there is a pass with water before the trails heads over to Disaster creek. We worked for 4 days and logged out the next 3 1/2 miles, brushing as we went because the trail was hidden in the brush. Lots of lodge pole pines. 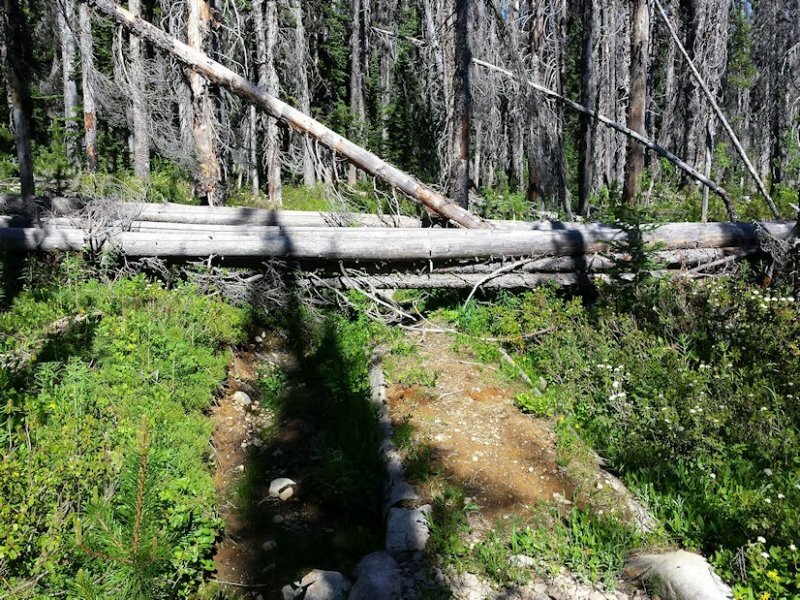 We made it to the last Disaster creek crossing with 8 trees at the crossing and then another 10+ as the trail heads up the last mile and 1,000 feet to the lakes. The rest can be gotten around the trees and brush as it thins out, but it would be nice to log out the trail. 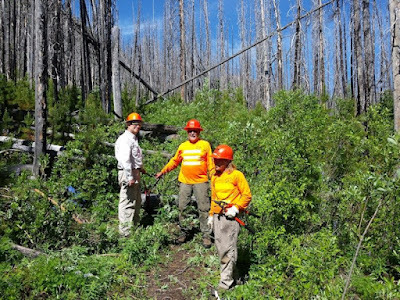 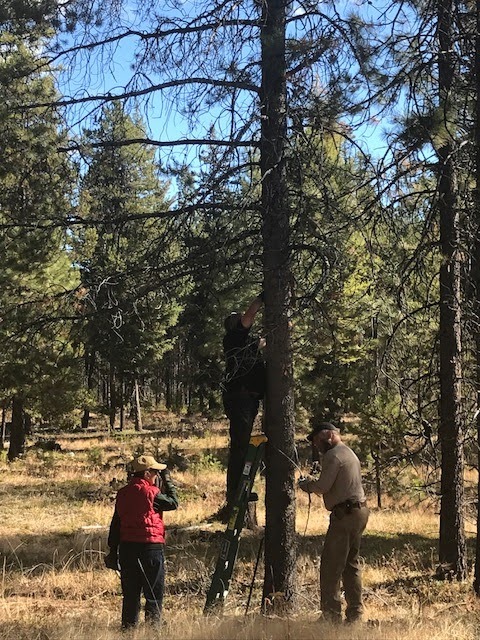 NOTE: Many photos of the Hot Shot Crew working in the Andrews Creek/Pasayten wilderness area are featured on the BCHW.org web site. You are encouraged to view them to understand the complex project that was undertaken for just a few days. 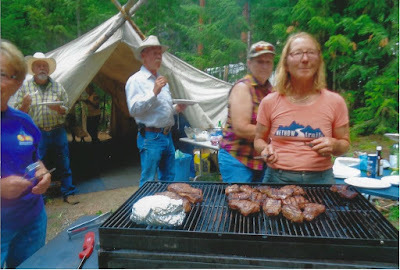 Cathy was the Chef for the entire crew! On July 1st President Cathy Upper brought (and cooked) 45 steaks for the arriving Hot Shot crew, and club members Betty Wagoner, Joe and Carol Hebert, Mark Brantner, Jill Calvert, Marian Webster, Jackie Iddings, and Bill and Jan Ford also brought pot luck dishes and helped with the BBQ. 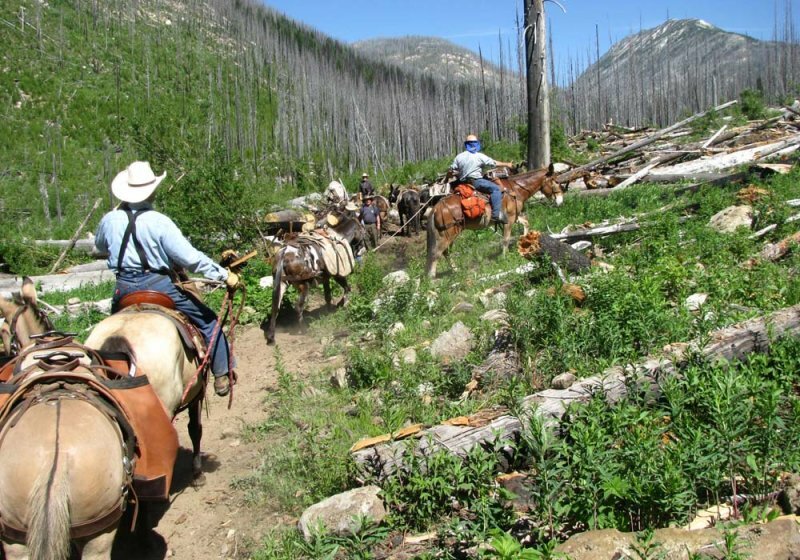 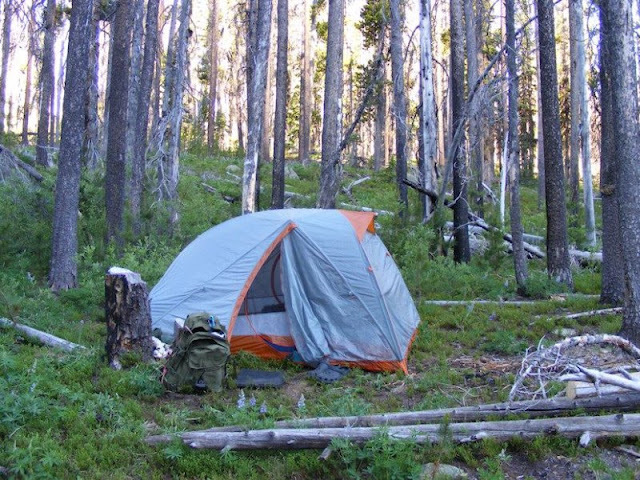 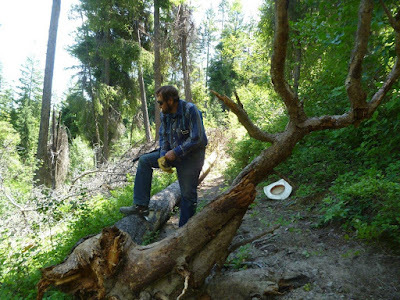 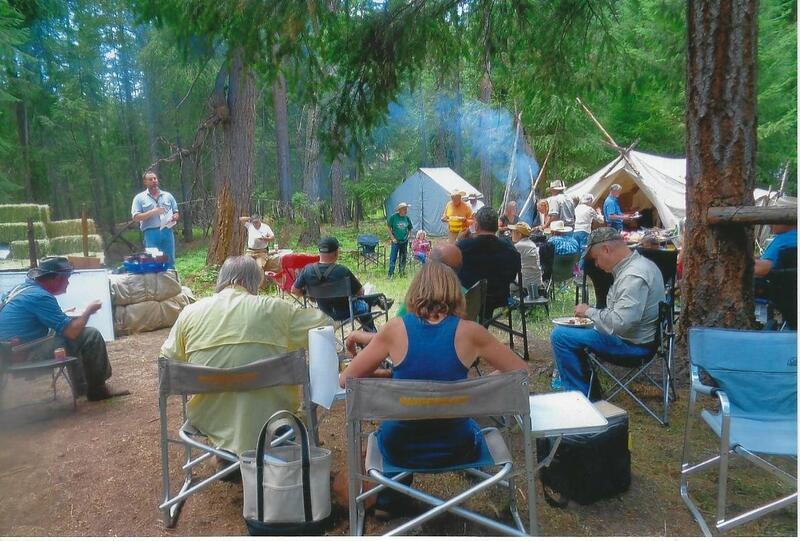 It was held at Darwood’s camp/corrals far up the Chewuch River near the Andrews Creek area. Forest Service trails crew member Clark Simpson was also there, and he said their crew had gotten the huge Andrews Creek Trail avalanche tree slide cut out using chain saws with special permission from the FS Supervisor office in Wenatchee for this hazardous project. 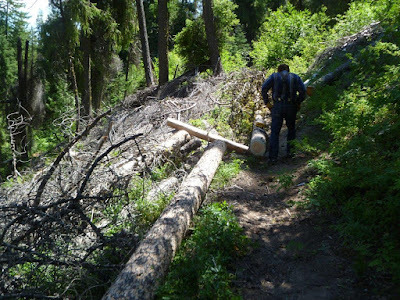 Opening up this slide section for stock was essential for the Hot Shot crew to access areas on the trail that required attention. 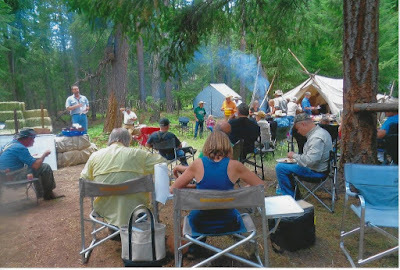 The 4th of July BBQ at the Twisp River Horse Camp was attended by 23 people—lots of visiting and, of course, great food! 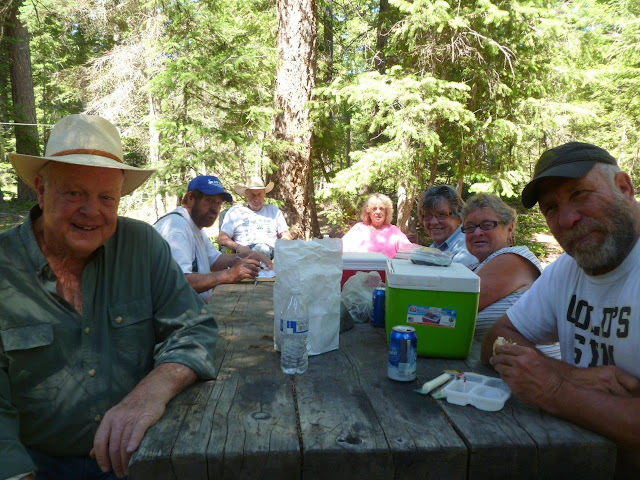 MVBCH member Carol Hebert took care of the BBQ’d hot dogs along with her husband Joe, and there was a full spread of food brought by the other attendees. 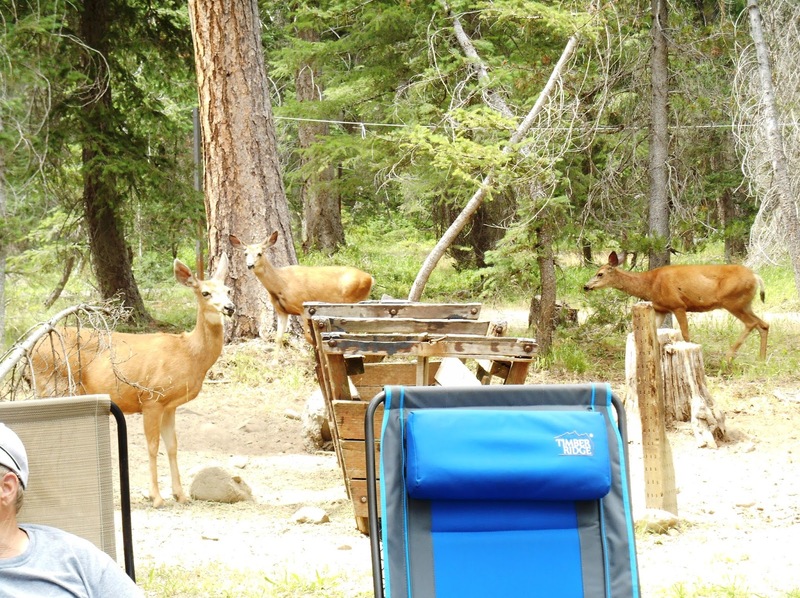 The camp’s doe population noticed the group and thought there might be a sweet handout here or there, so they joined in the camaraderie! Some of the folks had already arrived the day before and brought their rigs and horses, camping at the TRHC for a couple of days over the holiday. 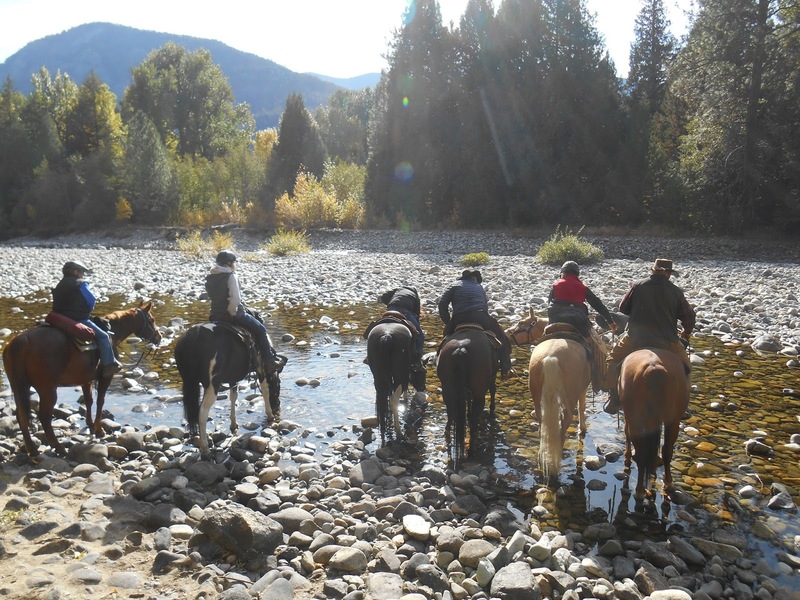 They were having a good time riding and fording the Twisp River. 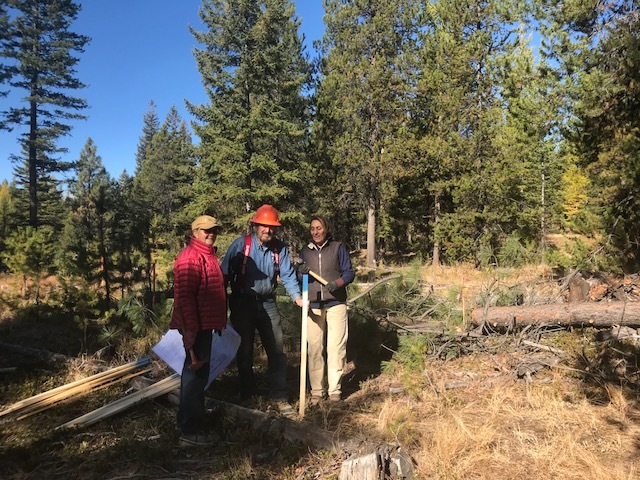 BCHW member and our LNT Chair also joined the group. It was a great afternoon spent relaxing and enjoying the company of all; and, many thanks go to Carol and Joe who brought the club BBQ and picnic supplies! 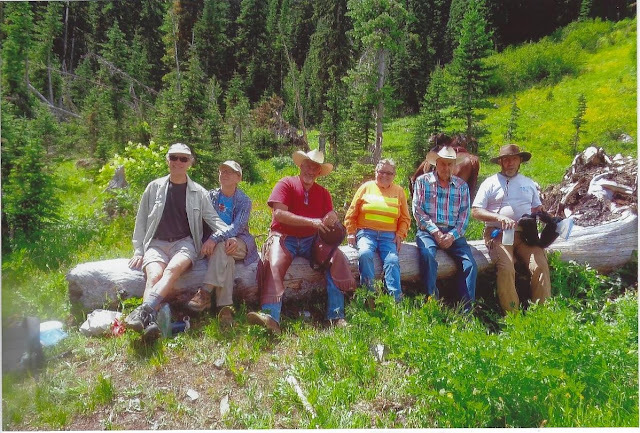 Bill and Jan Ford went up East Fork Buttermilk on Sunday July 2nd. 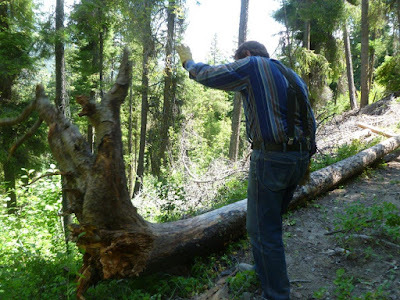 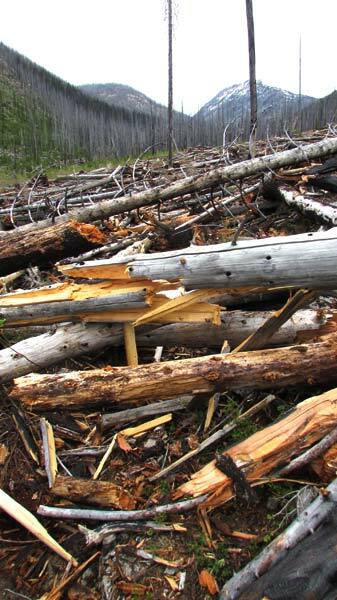 There were no downed trees at all to the wilderness (there were 150 last year! ), and only 5 to the creek at 2 miles. 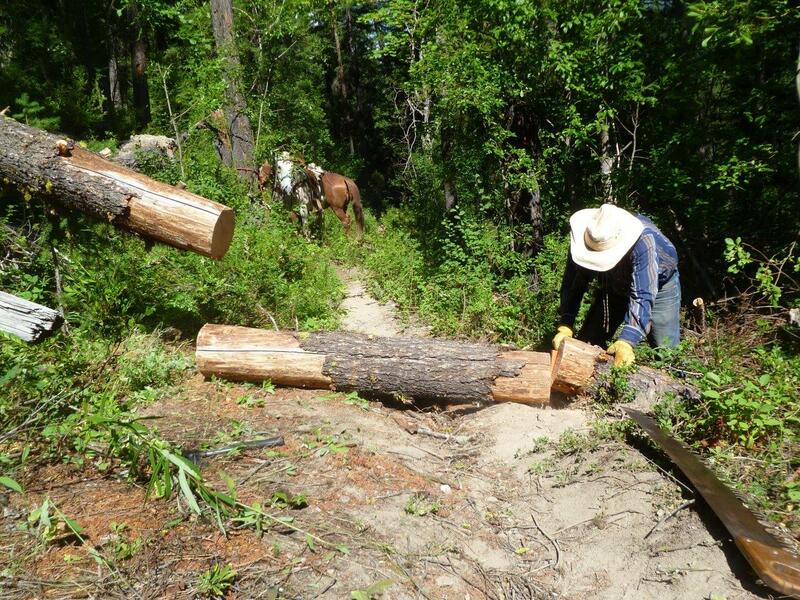 Temperatures were very hot, but they got the job done! 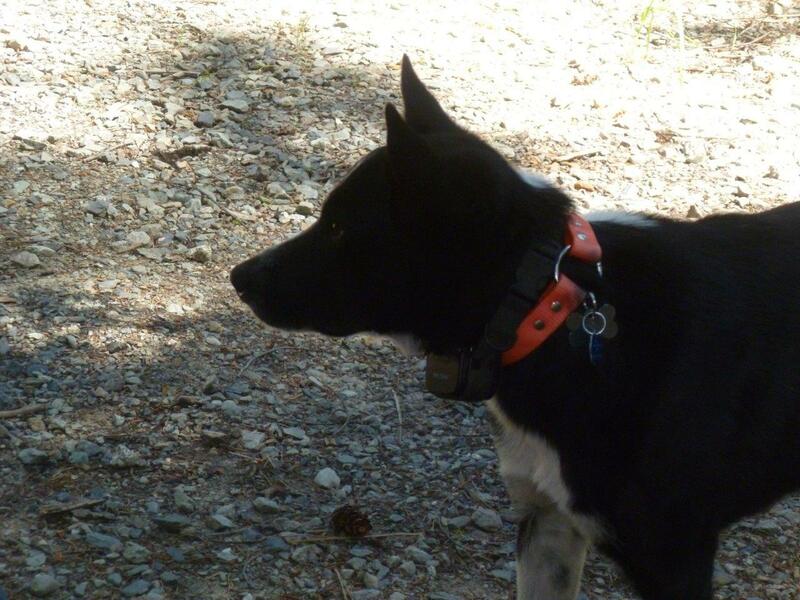 On June 24th, eight of us + Lucky (Mark Brantner’s dog) checked camp sites, hi-lines and feeders (the usual team of Ann Port and Betty W. painted them with anti-chew gunk). We put up the pamphlet holder on the information board for the lists of trail descriptions. 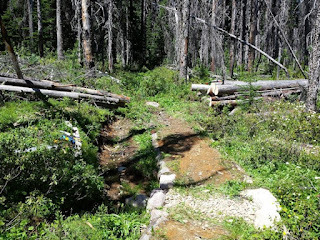 The new map is in the process of being made by Green Trails and should be ready for display at the end of July. 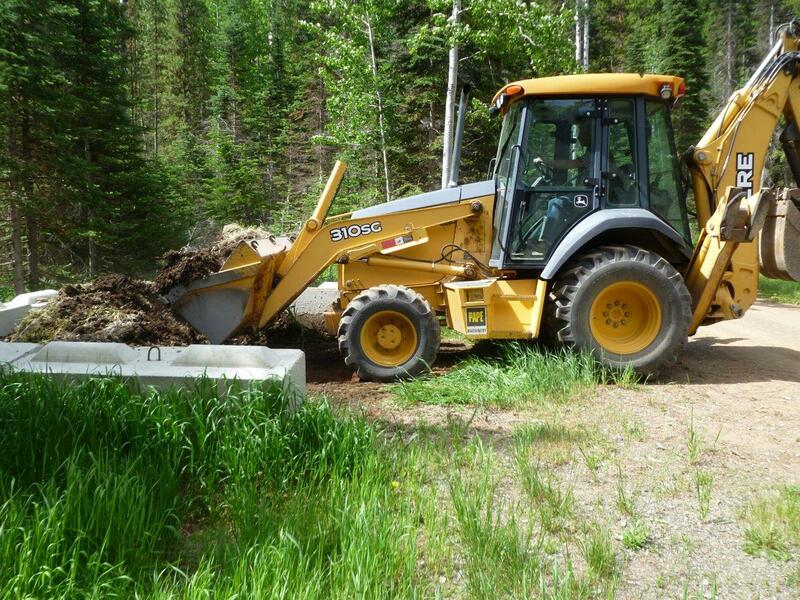 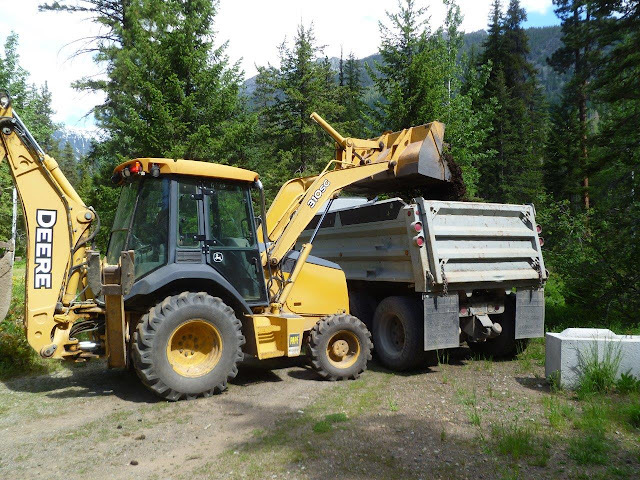 On June 13th Mike McHugh emptied the manure bunkers at TRHC. This had not been done since the SWWP, so there was rather more manure than would fit in Mike’s dump truck, but most of it was crammed in! 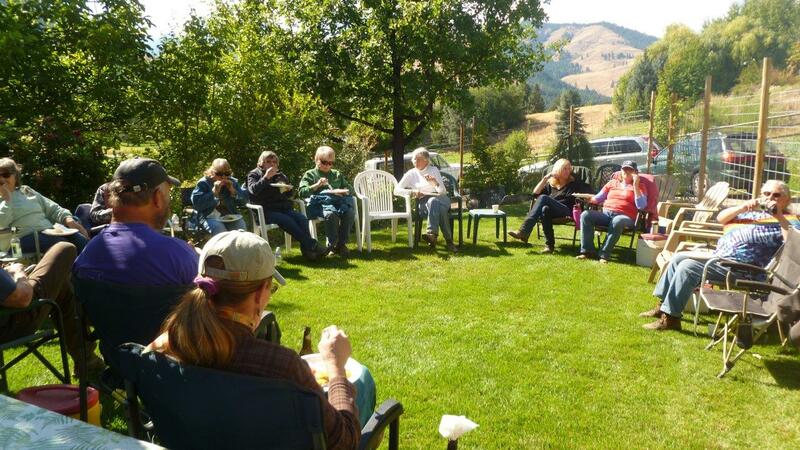 Not a big turnout (14 in all counting the cooks), but quite a bit achieved considering the low number. We had a boost when a truck load of energy arrived in the form of Casey Smith with two friends of similar age (20’s?) plus Jill Calvert – a very effective brushing team! Nick and Annette Koontz were the members who came furthest, and we had the fortune to have Jason Ridlon and a hunting buddy, Darrell; they and Willie Kemper and Dan Stanley (non-member) worked off the Twisp River Trail – up War Creek and Scatter Creek respectively. 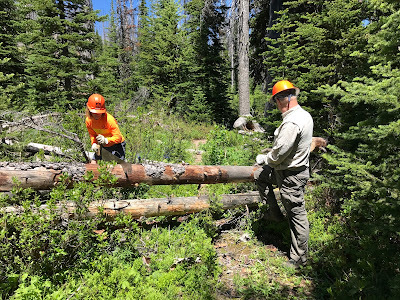 Bill and Nick removed the only impassable tree of the day, a tricky one by Scaffold Creek. 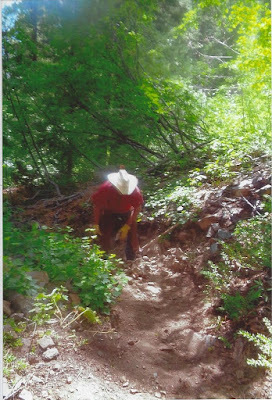 They also brushed a section of the trail near Slate Creek.